• Key changes in advanced cardiovascular life support, reflecting the 2010 American Heart Association Guidelines for Cardiopulmonary Resuscitation and Emergency Cardiovascular Care. • Basic life support skills, including effective chest compressions, use of a bag-mask device and use of an (AED). • Recognition and early management of respiratory and cardiac arrest. • Recognition and early management of peri-arrest conditions such as symptomatic bradycardia. • Management of acute coronary syndromes (ACS) and stroke. • Effective communication as a member and leader of a resuscitation team. Is the class accredited by the American Heart Association? Yes we are AHA approved provider. What do I need to bring with me for a class? Do I need to do anything before the ACLS class? Do I need the provider manual? Yes, Per AHA all students are required to have their own manual for the class. If you are more than 15 minutes late you will be asked to reschedule. Don’t worry, As long as you give us a 24 hour notice via phone call, voicemail, email, tweet, or Facebook message you can reschedule at no charge. where can I get acls certification in Houston. 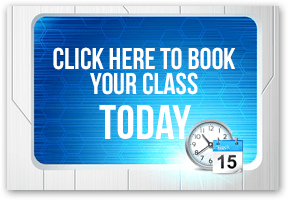 Do you offer onsite classes? Yes, onsite classes are offered at no trip charge with a minimum of 5 students. We know your time is valuable that’s why on any onsite class if members of your team don’t show up for any reason they will be given a free pass to obtain the certification at our office. Can I pay cash for a class? AClasses need to be paid for 48 hours in advance to secure your seat. If paying cash, Payment would need to be made ASAP to confirm your registration. YES we offer a Spanish CPR and ACLS class at our Houston office.